Located in the vibrant Central Business District, the nine-story brick building was originally constructed in 1927 as the headquarters for New Orleans Public Service Inc. (NOPSI), the city’s former utility company and transit operator. 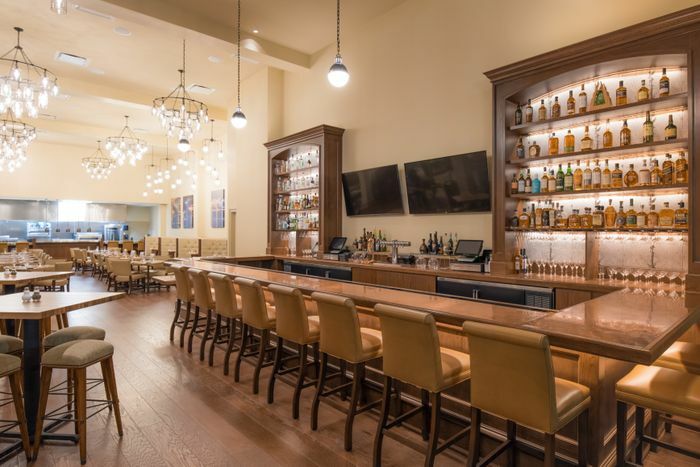 Now, nine decades after it originally opened to service the city’s needs, the historic landmark has been re-imagined as a luxury hotel with a community spirit. 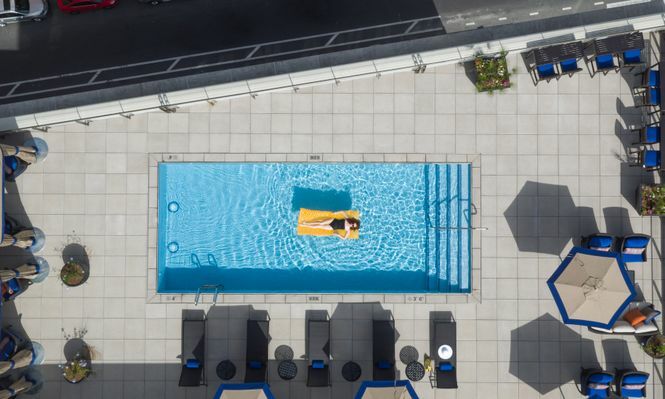 Listed on the National Register of Historic Places, NOPSI Hotel features 217 refined guestrooms – including 76 suites – a lively and regionally inspired restaurant called Public Service, 14,000 square feet of architecturally significant indoor and outdoor meeting space, and a sophisticated rooftop pool and bar named Above the Grid. “We are delighted to bring this unique property back to the community. 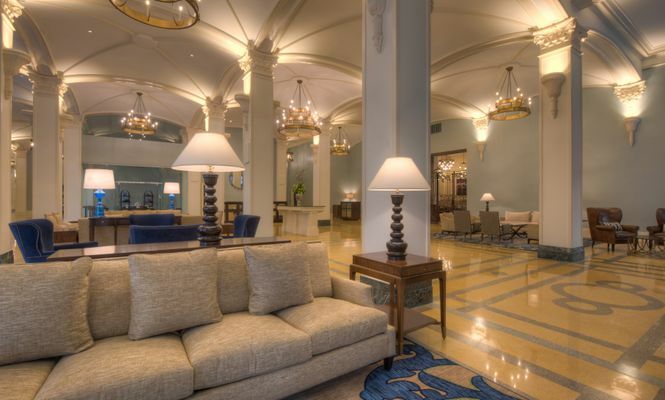 We were drawn to the building’s beauty and history, and our restoration ensures the spirit of this great city is fittingly captured,” said Carl Kuehner, Chairman of Building and Land Technology (BLT), the hotel’s owner and a leading national real estate investor and developer. Several officials and dignitaries joined Kuehner to cut a ceremonial ribbon, including Mitch Landrieu, Mayor of New Orleans; Billy Nungesser, Lieutenant Governor of Louisiana; Sheila Johnson, Founder & CEO of Salamander Hotels & Resorts, the hotel’s management company; and Ellen LeMaire, NOPSI Hotel’s General Manager. Dedicated to providing an authentic experience inspired by the rich history of the destination it proudly serves again, NOPSI Hotel underwent a meticulous restoration, which returned the grand dame to its original splendor, including the building’s street facades, cast iron rails and stone panels. 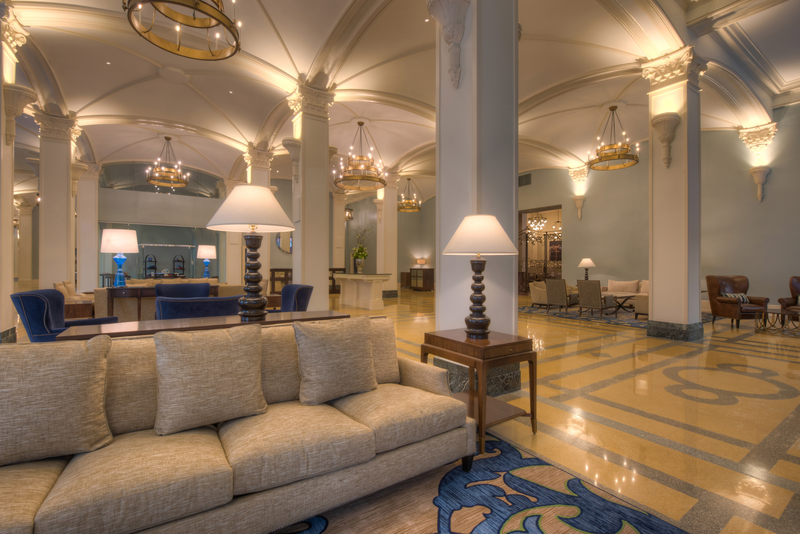 Inside the sweeping lobby, guests can discover faithfully renovated vaulted ceilings, graceful arches, ornamental columns, brass grills and stone terrazzo flooring. The property was originally designed by Favrot and Livaudais, a Louisiana-based architectural firm that designed many other historically significant buildings. 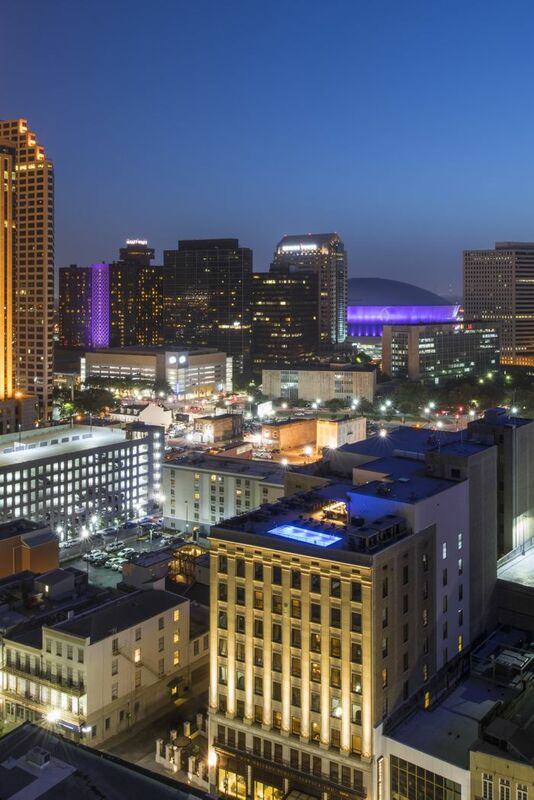 Woodward Design + Build from New Orleans served as the hotel’s architect of record and general contractor during the renovation process. The project’s development team has also worked closely with Louisiana’s State Historic Preservation Office to ensure the architectural integrity of the building was preserved. 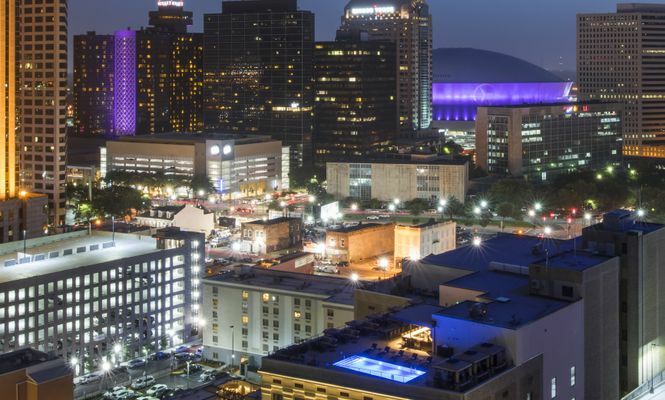 Within a short walk of The French Quarter, the Warehouse District and the Garden District, NOPSI Hotel is located near Lafayette Square and close to major attractions like the Mercedes-Benz Superdome and the World War II Museum. Thousands of manhole covers still bear the NOPSI name, which inspired the hotel’s unique circular logo, adding a sense of nostalgia to a walk down many of The Crescent City’s streets. The hotel’s classically designed guest rooms range in size from 350 to 800 square feet, and feature refined furnishings and artwork inspired by NOPSI’s heritage. Guest bathrooms incorporate a soothing spa-like tile design and oversized, luxurious showers. 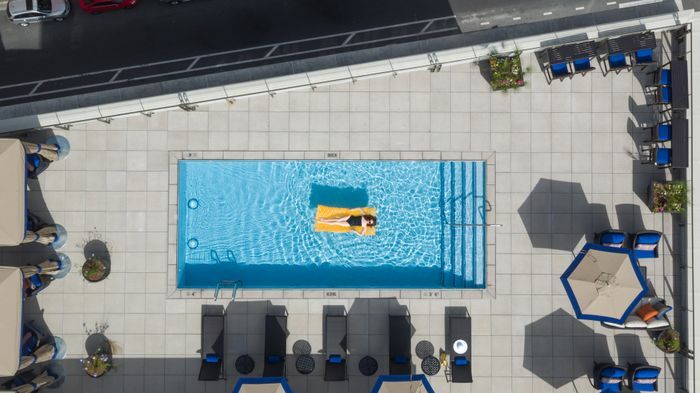 The ninth floor features the expansive Power Suite as well as four Spa Suites with spacious terraces that can be utilized for an extraordinary in-room Salamander Spa experience. Meetings & Events – The hotel boasts 14,000 square feet of historically significant indoor and outdoor meeting space, including the conversion of an adjacent building into the city’s most unique event location: the Dryades Ballroom. At 4,000 square feet, this industrially elegant space boasts impressive arched windows, exposed brick walls, 30-foot ceilings and a preserved 24-foot high crane and track that once transported machinery. NOPSI Hotel also features five vaulted breakout rooms, a charming and regal outdoor patio, and PS Reserve, a unique and private dining space above the hotel’s signature restaurant: Public Service. Public Service – As the Central Business District’s most dynamic community gathering place, Public Service is a casual-yet-sophisticated restaurant respecting the civic spirit of the former New Orleans Public Service, Inc. With a menu honoring the Gulf Coast’s hard-working fishermen and farmers, Chef Dustin Brien and team prepare contemporary cuisine in an open-display kitchen, highlighted by a modern raw bar and open-flame rotisserie. The vintage design features a two-story glass façade, exposed brick and a custom-built craft bar. 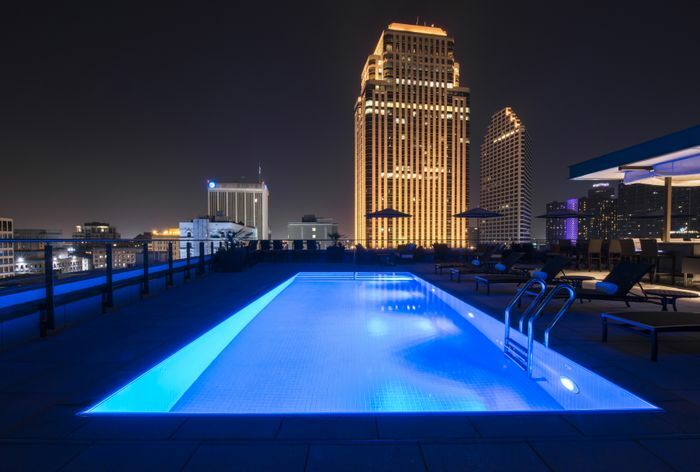 Above the Grid – NOPSI Hotel’s shimmering rooftop pool and bar, Above the Grid, offers a hot spot for hotel guests, visitors and locals with a unique view of the city’s skyline. By day, the pool is a peaceful oasis for hotel guests with indulgent cabana service. In the evening, the energy level increases and the setting transforms into one of New Orleans’ coolest scenes. UnderCURRENT Bar & Patio – Located in the hotel’s classic lobby, underCURRENT Bar & Patio features iconic, vaulted ceilings as the quintessential backdrop for light snacks and an afternoon cocktail experience. 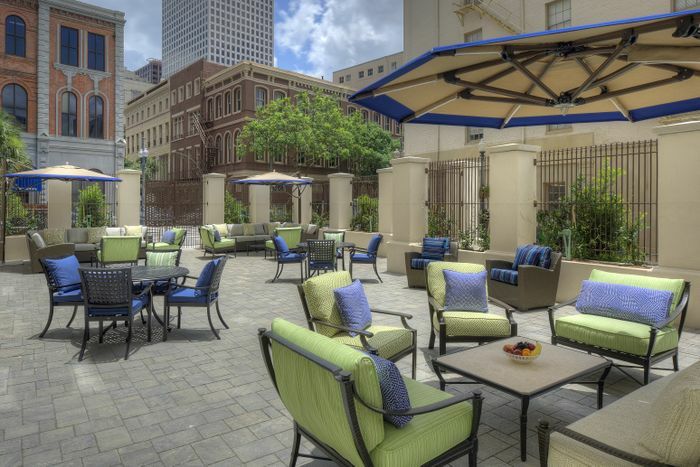 Patio guests can enjoy “life as a local” surrounded by wrought-iron accents reminiscent of a Crescent City courtyard. 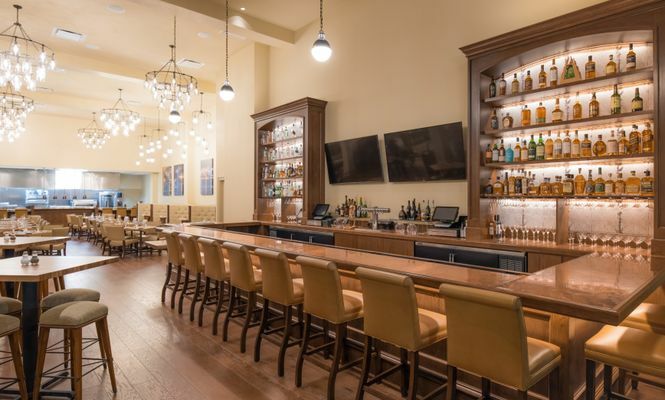 A member of the Preferred Hotels & Resorts LVX Collection and Historic Hotels of America, NOPSI Hotel, New Orleans opens to the public July 6, 2017, at 3 p.m. Introductory room rates begin at $229 per night. 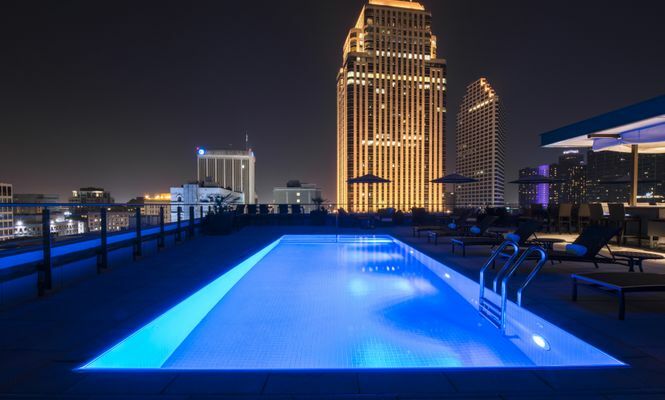 For more information, call NOPSI Hotel at 504.962.6500 or visit www.NOPSIhotel.com. Follow NOPSI Hotel @nopsihotel on Facebook, Instagram and Twitter. 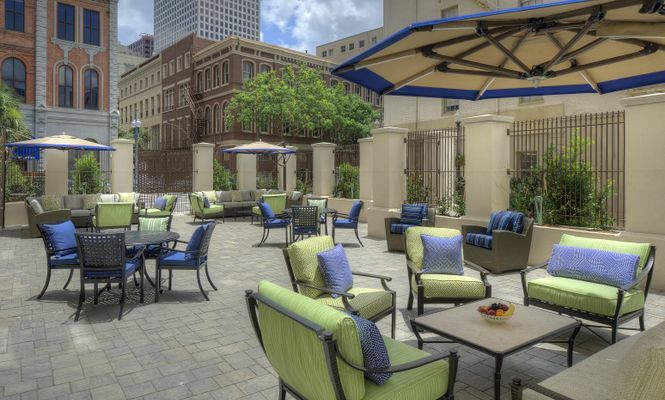 NOPSI Hotel is located at 317 Baronne Street, New Orleans, LA 70112. Building and Land Technology (BLT), founded in 1982, is a privately held real estate developer, manager and private equity firm. BLT is vertically integrated and has invested in, developed, owned and managed in excess of 25 million square feet of commercial, hotel and residential properties across 26 states. BLT is also the largest franchisee of Sotheby’s residential real estate brokerage, with 28 offices and 1,000+/- real estate agents. To learn more about BLT visit http://www.bltoffice.com. Salamander Hotels & Resorts is a privately owned and operated company based in Middleburg, VA, just outside Washington, D.C. Founded by entrepreneur Sheila Johnson in 2005, the company has a luxury portfolio featuring two distinct collections. The Signature Collection includes the stunning Salamander Resort & Spa in Middleburg, a 340-acre equestrian-inspired property near Washington, D.C.; The Henderson, a 170-room grand beach resort in Destin, FL; NOPSI New Orleans, a new 217-room luxury historic hotel re-imagined opening in July 2017; and Hotel Bennett, a 179-room luxury hotel in Charleston, SC, opening in early spring 2018. The Golf Collection includes the famed Innisbrook Resort in Tampa Bay, which hosts an annual PGA TOUR on its Copperhead Course; the elegant Reunion Resort in Orlando, which includes Signature Course designs from Nicklaus, Palmer and Watson; and the recently renovated oceanfront Hammock Beach Resort in Palm Coast, FL, home to layouts by Nicklaus and Watson. All Salamander properties are members of Preferred Hotels & Resorts. For additional information, visit www.SalamanderHotels.com.